As the US continues to strenuously ignore and underfund the only development program in the country which works cheaply and effectively, the Afghan National Solidarity Program (NSP,) which is at arm's length from the Karzai government and which gets management help from the World Bank, and as it has instead wasted around $15 billion since 2001 on showcase projects that Afghans never asked for, using Washington-connected American contractors who take 40% or more in profit before the work ever begins, child malnutrition has edged up in the country from 54% in 2005 according to the World Bank to 60% according to Save the Children in a recent NBC News report. The grim statistic follows the recent freezing deaths of dozens of children under age five from the bitter cold in the squalid refugee camps in and around Kabul, the most secure area in the country. The World Bank reports that 60% of Afghan children suffer from stunted growth. 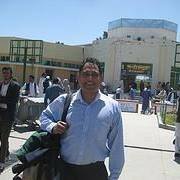 Ten years ago, Afghans were taken in by the promises made by the United States. They believed Washington when it said the military operation was not directed against them but against al Qaeda and the Taliban and that Mullah Omar's regime would be replaced by an elected government. After 20 years of war, they believed the promise that Afghanistan's reconstruction would bring security and well-being. "just $15 billion in aid has so far been spent, of which it is estimated a staggering 40 percent has returned to donor countries in corporate profits and consultant salaries"
"We have got to redouble our efforts. We've got to create a situation in which al-Qaida is not coming back." Two-thirds to three quarters of Afghans still do not have access to safe drinking water, although these kinds of projects would be among the easiest to implement and would involve hiring large numbers of unemployed Afghans. And so strong is the US "commitment" to help rebuild the country it has occupied for ten years that its support for an organization which runs 11 orphanages will be terminated at the end of this month, in a country with one of the highest number of war orphans in the world. Now that's heart. The NSP focuses on many small, basic infrastructure projects like irrigation, clearing the canals, clean water projects, and improving dirt roads. This helps all other parts of the traditional economy of agriculture and small business. Labor is provided by Afghans wherever possible. In the meantime $2 billion per WEEK in military hardware and military supplies crisscrosses the country by truck convoy, and the Pentagon pays insurgents hundreds of millions of dollars a year to let it through unmolested, thus making the Taliban stronger and enabling it to buy more weapons. No wonder Afghans are mad. "roughly 6,000 to 8,000 truck missions per month. The trucks carry food, supplies, fuel, ammunition, and even Mine Resistant Ambush Protected vehicles (MRAPs)."